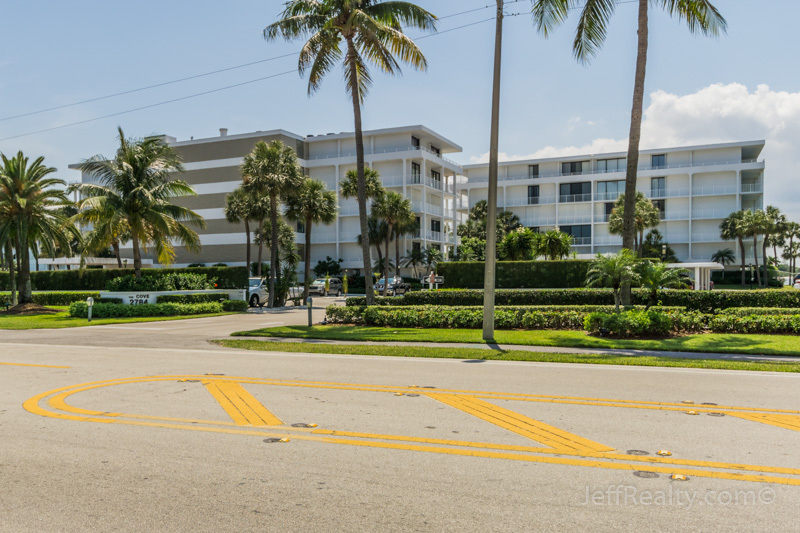 There are three stylish buildings that make up The Cove Condominium complex at 2784 South Ocean Boulevard in South Palm Beach. Wonderful views of the Intracoastal can be seen by the 80 residences that make up this full-service, luxury South Palm Beach condo community. There are a variety of newly renovated floorplans on each of the 5 floors, from spacious one bedroom, two bath units to the fabulous three bedrooms, two and a half bath units with huge wraparound terraces. The split bedroom floor plans provide spacious living areas and range in size from 1300 to over 3000 square feet. Many of the units have enlarged open kitchens with upgrades on countertops and flooring such as bamboo. Units are incredibly spacious and offer gorgeous marble flooring along with other features such as volume ceilings, ceiling fans, a washer/dryer, cable tv, storage spaces, and built in closet spaces. Logically named the buildings are called the South, North, and East buildings each for the way that it faces. Large balconies offer amazing Florida sunset views and boating activity along the Intracoastal. This expansive property is inviting to guests and residents with its wide-open walkways to each building. The buildings are very well kept and feature a contemporary lobby complete with a doorman. The new pool area designed by Mario Nievaro is shaped as a very wide half circle and placed perfectly in the center of the buildings so that access is easy for all residents. The resort style pool is heated and surrounded by lounge and garden seating. Other amenities available are a new fitness center, sauna, card room, library, and stylish common areas. Regular and oversized cabanas are available with many units, as are two parking spaces for your convenience. The BBQ area is available for residents, family, and friends. A paved deck on the Intracoastal is a great place to relax at home. 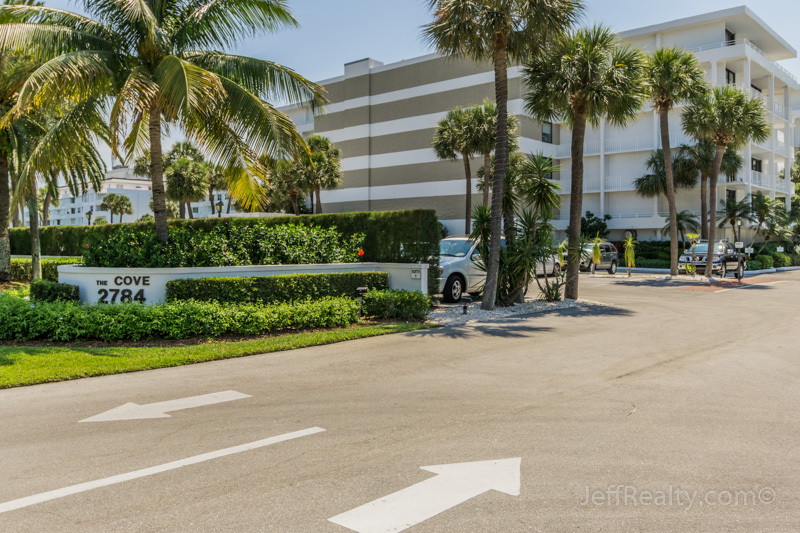 There is also a private deeded pathway next to the Four Seasons for beach access with beach chairs and umbrellas. The Cove has a reputation for a friendly social atmosphere. Pets are not allowed. The Cove also maintains a guest suite in one of its buildings for guest use. This one bedroom, one bath suite has a living room, dining area, kitchen, and a beautiful terrace with a view of the Intracoastal, and can be reserved in advance for seasonal use. 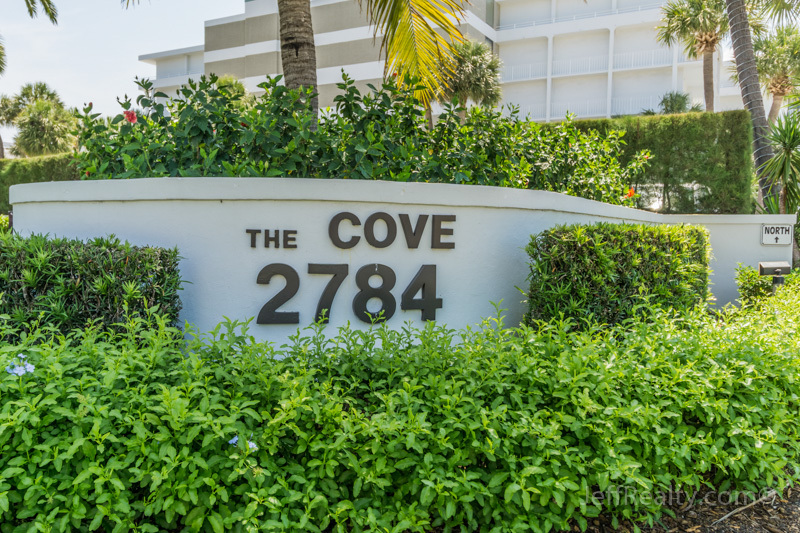 The Cove is conveniently located on the beach near several different restaurants including Graze, The Restaurant Bar and Lounge, and Atlantic Bar and Grill. Nearest grocery stores are 7 Days Food Mart, Publix Super Market at Lake Worth, and Tony’s Latin Grocery. For children in the area nearby schools include North Grade Elementary, Sacred Heart and South Grade Elementary. Just a short distance from The Cove is the Raymond Floyd Par 3 golf course which is rated one of the best Par 3 courses in Florida, and ranked in the Top 50 in America by Golf Digest. Along with the golf you can dine at the beautiful oceanfront clubhouse and enjoy breakfast, lunch or dinner with stunning views of the Atlantic Ocean. Perfectly situated in Palm Beach there are 39 neighbouring towns that offer an array of entertainment options and things to do. Enjoy shopping at many of the malls such as The Gardens Mall, Palm Beach Outlets, Clematis Street, or Worth Avenue, all of which contain high end shopping boutiques with something for everyone. Indulge your appetite with plenty of fine dining or casual restaurants to choose from. Or choose to experience an authentic Florida adventure such as meeting Sea Turtles and Manatees or getting up close and personal with a Sloth, Capybara, Koala, and more at the Palm Beach Zoo and Conservation Center. With perfect temperatures all year round you can take advantage of things to do in or on the water. Kayaks or canoes are a great way to take a leisurely trip and explore some of the beautiful surroundings and wildlife that Florida has to offer. Scuba diving is a must with natural reefs and wreck sites to explore in the crystal clear, ambient temperature waters. Take the whole family out to experience dolphin watching, or take a solo fishing trip to unwind. 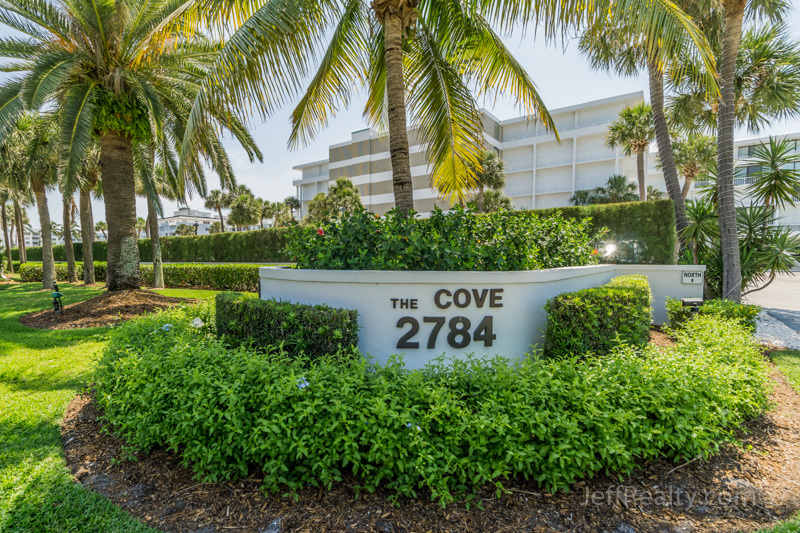 The Cove is situated with easy access to Palm Beach International Airport, which is perfect for planning trips away or for family and friends to visit. The I-95 is also within easy access from The Cove and makes visiting the many surrounding towns and attractions a breeze. The team at Echo Fine Properties look forward to helping you find the perfect home in The Cove. I am interested in learning more about The Cove homes.